Aimee Bahng, assistant professor of English, was denied tenure despite unanimous department approval. 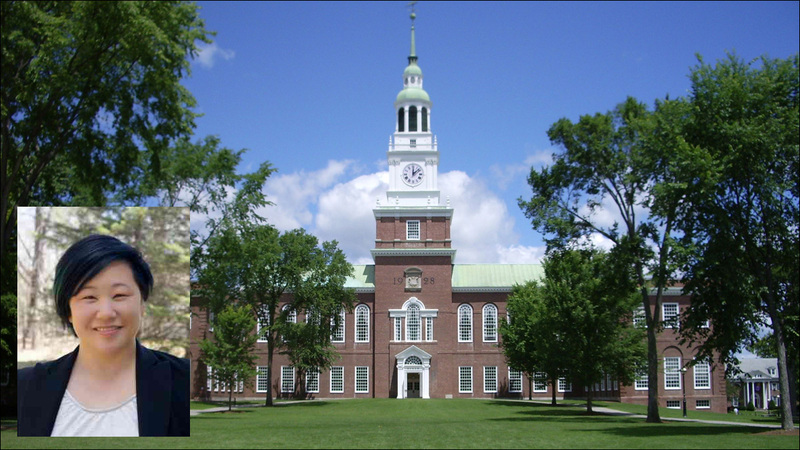 At Dartmouth College, the campus community has recently been rocked by the inexplicable denial of tenure for Aimee Bahng, assistant professor of English. Earlier this month, Bahng was denied tenure despite the unanimous approval by the English department's tenure committee. Bahng has been an Assistant Professor of English at Darthmouth since 2009. Her scholarship connects Asian American literary studies, speculative fiction and finance, technology and post-humanist inquiry. Fellow professors and students say Bahng deserves a permanent position on campus. They also say Bahng's tenure denial speaks to bigger questions about Dartmouth's commitment to diversity, and is part of a disturbing trend in which department votes for tenure and unanimous recommendations for tenure are overruled by deans or the Committee Advisory to the President. My department's going to meet w/ @dartmouth leadership today to #fight4facultyofcolor & our friend, colleague, coworker @bahngerama. Bahng's supporters have taken their protest to Twitter, using the hashtags #fight4facultyofcolor and #dontdoDartmouth -- advising would-be applicants to avoid the institution. They've also started a petition calling for Dartmouth's administration to reconsider Bahng's denial of tenure. "We are dismayed and disappointed to hear of her tenure denial, especially against the unanimous recommendation of the Department of English," the petition states. "Dr. Bahng has an excellent record of achievement in research, teaching, and service." "As one of the top young scholars in the fields of American Studies and English, Dr. Bahng consistently produces timely, sophisticated, and original scholarship that examines race, gender, and nationality in U.S. American literature -- Asian American literature in particular." "It is difficult not to see her tenure denial as Dartmouth's judgment on the field itself."